Imagine being able to expand your company’s capabilities without needing to purchase expensive hardware or worry about running and maintaining it in your office. With the cloud, it is possible to get the benefits of a secure, expertly managed data center without the costs required to purchase and run your own equipment. All of your servers and solutions would be housed within our Blue Jean Networks data center, greatly reducing the cost of management and maintenance. With Blue Jean Networks Cloud Servers, we can deploy, manage, and fully support your company’s server environment in our own secure, Fort Worth data center. Running a business used to require expensive server equipment that needed to be replaced every few years. With the Blue Jean Networks Cloud, your server is housed securely and maintained by our experienced technicians and engineers, and hardware is completely handled as part of your monthly fee. We utilize virtualized server environments that allow for higher hardware utilization and vastly less resource and energy demand, keeping our costs low and our service environmentally friendly. Blue Jean Networks employs the highest standards of IT management in our data center to ensure optimal uptime and data protection and continuity so you and your staff can focus on your business and not your IT. 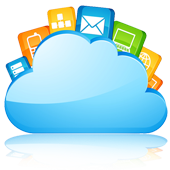 Blue Jean Networks Cloud IT can grant your business new capabilities to improve your day-to-day without the extraordinary start-up costs associated with new technology.